With marijuana legalization comes full disclosure. Full disclosure means full disclosure, good or bad. Cannabis like many other substances such as peanuts, pollen in general, seafood or aspirin can cause allergic reactions in some people. It is hard to diss the cannabis plant. Legalization continues to verify ancient lore in leaps and bounds as cannabis becomes more accepted. Whether it be proving marijuana to be an inexpensive and readily available therapeutic panacea or that it has the mother lode of industrial applications or even for generating recreational tax revenue in the tens of millions. Cannabis is proving difficult to fault. However full disclosure means full disclosure, good or bad. Cannabis like many other substances such as peanut butter, pollen in general, seafood or aspirin can cause allergic reactions in some people. According to Mosby's Medical Dictionary an allergic reaction is "... an unfavourable physiological response to an allergen to which a person has previously been exposed and to which the person has developed antibodies." An allergen is defined as "... a substance that may not be intrinsically harmful, but can produce a hypersensitivity response in the body." When the body is exposed to an antigen the immune system initiates a complex series of reactions. Allergic reactions are unique to each individual, meaning reaction times and symptoms can vary from person to person. White blood cells produce antibodies. The job of antibodies is to help white blood cells hunt down and destroy substances that cause disease and sickness. Depending on the type of antibody produced, different chemical and hormonal mediators are introduced into the local area and stimulate more white blood cell production. This is experienced as an allergic reaction. The well-known mediator histamine for example (after all, who hasn't heard of antihistamine!) can cause hives, rashes and in the worst case anaphylaxis if released into the body too suddenly and extensively. In the case of cannabis there may be a number of allergen vectors. Mostly affecting people where cannabis is grown commercially and industrially, male plants left to do their pollinating job among the females can produce a staggering amount of pollen. Annual exposure can build up sensitivity in those who are prone to hypersensitivity and allergic reactions. Cannabis as a plant can certainly cause biological reactions such as migraines, post nasal drip, sneezing, red eyes, itchy skin and that swollen sinus dead head feeling that all hay fever sufferers know and love. Nebraska has commercially cultivated and wild growing marijuana as hemp. In 1940, 119 patients with allergic symptoms were tested for adverse reactions to cannabis pollen. 22% of the tested population out of Omaha proved to be allergic, which reflects the figures of a similar study published in 2000 in the Annals of Allergy, Asthma and Immunology. Investigators found then that 61% of 127 people tested positive to allergic reactions to cannabis pollen. Apart from special breeding rooms and the occasional hermaphrodite, indoor cannabis is a male and pollen free environment. When dealing exclusively with sinsemilla, vectors for hypersensitivity can be moulds and the resins which can contain mixes of over 100 different terpenes. Terpenes are also called essential oils. Cannabis is a producer of some extremely strong essential oils. It would be uninformed to point a finger of guilt directly at THC for causing allergic reactions to cannabis. Top quality cannabis contains concentrated top quality essential oils which give nuance to bouquet and effect. In general, essential oils are benign. However, overexposure to these concentrated substances can cause hypersensitive reactions. Phenols can cause allergic responses directly as do haptens which bind to skin proteins, forming antibodies which can lead to allergic reactions. Hypersensitivity needs to be avoided as it can last for life, denying the allergic person access to an excellent therapeutic substance. Trimmers and bud tenders should glove up as hypersensitivity could directly impact employment in the rapidly expanding cannabis industry. Evidence exists of two laboratory workers developing nasal and respiratory problems after handling potent cannabis for several years. They were not recreational cannabis users so sensitization could only have occurred in the workplace. 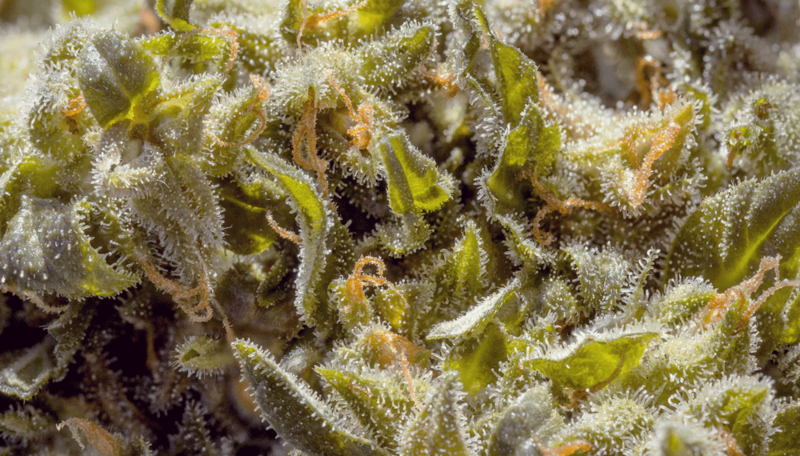 Allergic reactions are more likely caused by moulds on cannabis. Improperly dried and poorly stored weed moulders very quickly. Mould as a species can be very harmful to the human organism. In worse case scenarios people have died after exposure to mould spores. Luckily the moulds that form on cannabis flowers are not the deadly liver and brain eating type, but they can initiate an allergic reaction. Hives or rashes if touched, sneezing and swollen eyes if the spores are inhaled and bronchial distress if vaped or smoked. People with subpar immune systems can be put at risk of allergic bronchopulmonary aspergillosis if using cannabis harbouring a hidden fungal infection. However, you can rest easy knowing that contemporary quality control means ultra clean grow rooms and minimum risk drying procedures that reduce fungal exposure to an absolute minimum. Reps are at stake. It would be very rare to buy mouldy commercial weed. Smooth talking cannabis-hating trolls might use marijuana allergies as an excuse to try and sully the name of the perfectly harmless ganja plant. Admittedly THC and other cannabinoids are at percentages dwarfing swag from twenty years ago. Also, there are over 100 terpenes and flavinoids that have never existed before in the combinations and strengths of contemporary expert grown marijuana. With the potency and baffling amount of varieties of modern cannabis available we are all breaking new ground with respects to its use and handling. You should responsibly be aware and self check for allergic type reactions to pollen, smoke, vapours or even edibles. If you have a job in the cannabis industry and are often being exposed to marijuana sensitization may occur. Be vigilant for allergic reactions. Symptoms could be allergic rhinitis (hay fever), skin rashes, asthmatic or bronchial type symptoms and even conjunctivitis.